Used to wearing multiple hats, Associate Dean of Students Michele Whitmore has donned yet another: she is now the men’s tennis team head coach. Whitmore isn’t new to the tennis scene. 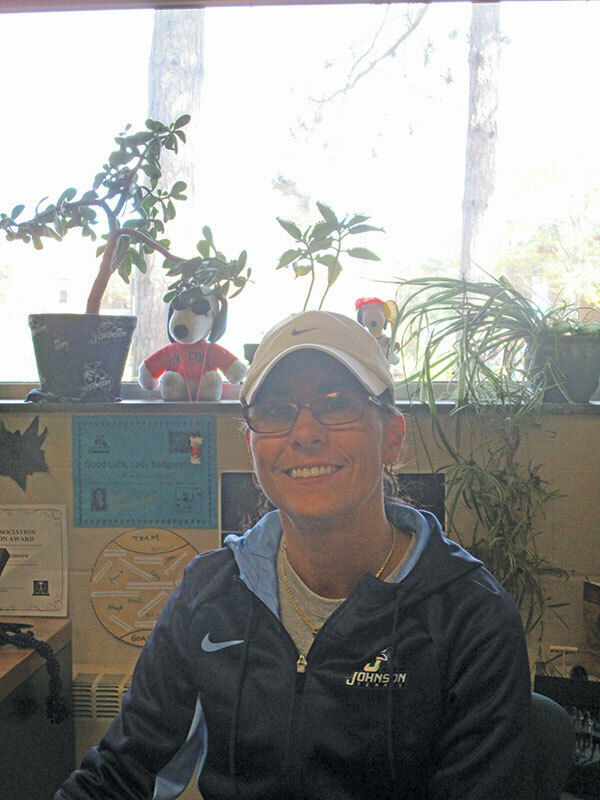 She has been the women’s coach for the past nine years and counting at NVU-J. Whitmore currently ranks first with 36 wins in the program’s history and has led her teams to three appearances in the North Eastern Athletic Conference (NEAC) East Division Semifinals. What started her coaching career was her love of the sport and being in the right place at the right time. At the beginning, she admits that she wasn’t fully skilled in coaching the sport and she was motivated to learn the techniques and strategies of the game. Her team was in the process of rebuilding in her first year and she made it a priority to recruit female players on campus. Part of her pitch was giving all female students a shot if they had any interest in playing. She also wanted to be able to recruit local female tennis players to Johnson. She had to teach herself how to sell Johnson to those players, and so she had to make connections with high school coaches. Little by little, Whitmore wanted to grab one or two players each year to play for Johnson so she could create a working team of tennis players. It took her time, but she has been successful at growing and developing the program. Whitmore will need to be able to do the same thing with the men’s team. She already has the ability to coach and recruit, all she needs to do now is put it into practice. For the men’s team, she wants to see players really take the time to get better in a sport that she loves.